So far, 2014 holds some new and promising endeavors for director and playwright Brad McEntire. Known for his passion for creating small yet powerful theatre productions, the Carrollton native’s latest production of director Andy Eninger’s “The Last Castrato” at the Margo Jones Theatre in Dallas wrapped last week with glowing reviews. 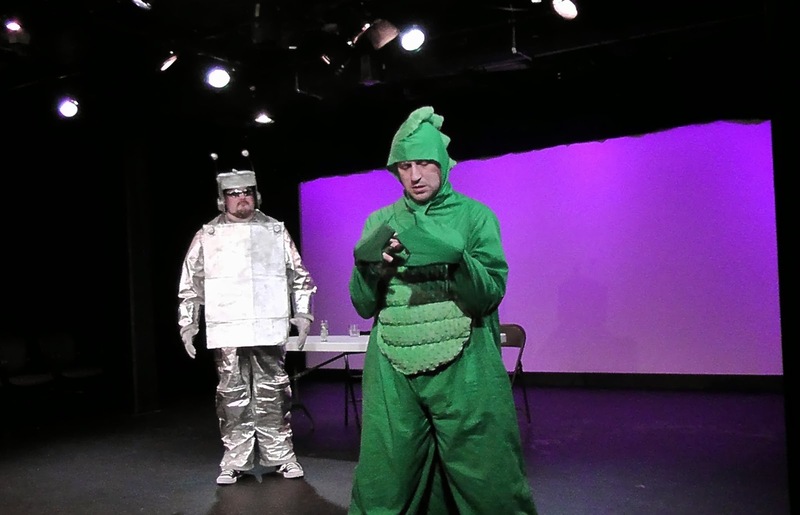 Also earlier this month, his production company, Audacity Theatre Lab, hosted McEntire’s solo piece, “I Brought Home a Chupacabra” as part of the YOLO Solo Fest of one-person, one-act plays. Catch another one of McEntire’s own off-the-wall solo pieces, “Roberts' Eternal Goldfish,” when it debuts at the Out of the Loop Fringe Festival at the WaterTower Theatre this March in Addison. SLM: How did you get your start in the local arts community? 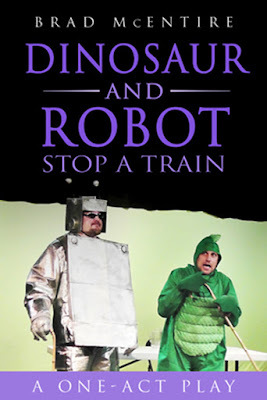 SLM: With plays named “Chop” and “Dinosaur and Robot Stop a Train,” how would you describe your style? And how do you come up with this stuff? SLM: Any other influences besides your own imagination? BM: “[Daniel Quinn] who wrote the book “Ishmael” wrote another book [called “Beyond Civilization”], and he has this theory of tribes in it. His thesis is that when humanity turned to civilization, we mucked everything up. Civilization works as a big hierarchy. Quinn's thought was if we still lived tribally, we would be more plugged in rather than living in a hierarchy where status tends to trump results. Carrollton native Brad McEntire started Audacity Theatre Lab in 2008, but his humble beginnings with his production company began at the Art Centre in Plano, where he hosted a “garage band style” reading. 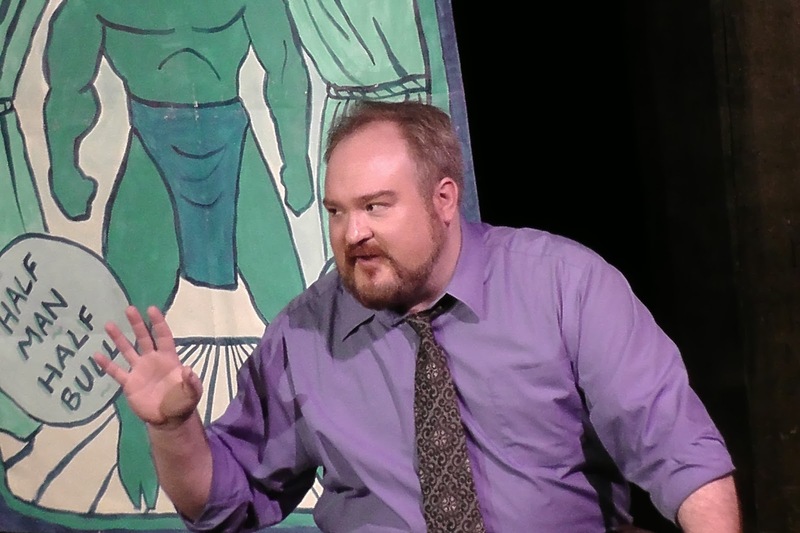 Since then, McEntire has built upon his company and is well-versed in directing, writing, improvisation, cartooning, and probably a few other talents related to the arts community. SLM: You write and direct on your own plays – doesn’t that keep you extremely busy? SLM: Where all have you hosted your productions? SLM: You seem to see theater a bit differently than most. What is your theory or your plan of attack when it comes to producing good stage productions? SLM: How has the feedback been so far? BM: “The shows have been well-received. Reviews are mostly good. The trick is getting the word out. I am actively learning the marketing side of things just now." "I am slowly earning recognition from my colleagues, though that is very gradual. 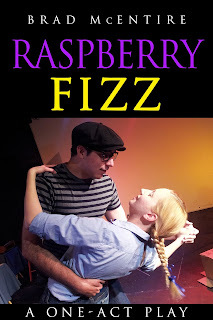 One observation I've made, is that the more I turn to creating and producing my own work under my own banner [AudacityTheatre Lab] the more I feel kind of isolated from the greater theater community here in North Texas. This has been more pronounced since I began working on solo shows over the last few years. I now have to make more of an effort to get out and participate in the cultural landscape and to keep track of what my fellow theatre professionals are doing." For more information about Brad McEntire, visit bradmcentire.com. For more arts and entertainment news, follow @KelleyChambers7 on Twitter.